Considering these areas of interest, it is not surprising that I am delighted with JaPo's latest publication! 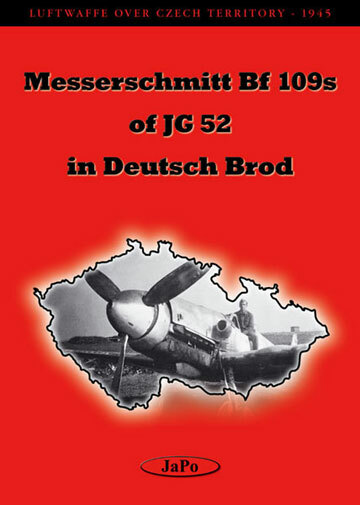 The book then describes six fascinating Messerschmitt Bf 109s based at Deutsch Brod during this period. The greatest attention is given to camouflage and markings. All the aircraft are described in detail using text, two colour side profiles each, four-view drawings with captions and notes, and wartime photos. Some of the aircraft feature minor variations from regular Luftwaffe camouflage, while others are genuinely outlandish! 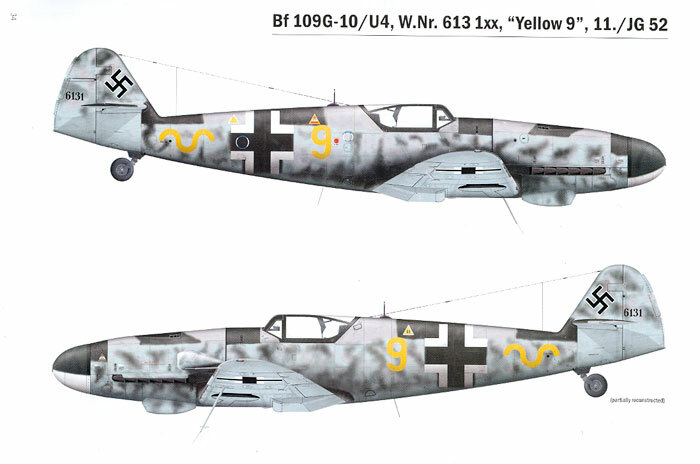 One example of the latter is "Yellow 11", a Bf 109G-10/R6 in overall dark green upper surfaces. There are also photos and descriptions of other Gustavs painted in similar fashion. The colour profiles are very attractive and well detailed, and the photos are well reproduced. The supporting text, captions and tables add to the comprehensive coverage of these fascinating case studies. I greatly enjoyed the analysis of the colours, markings and other attributes of the six Bf 109s in Japo's "Messerschmitt Bf 109s of JG 52 in Deutsch Brod". Even if the reader does not agree with all the conclusions of the author, you are provided with ample information and photos to make up your own mind. This book will be appreciated by modellers, Luftwaffe fans and camouflage buffs alike.